Each ARGO collection includes elements of femininity and practicality, and this Harbor dress is no exception. 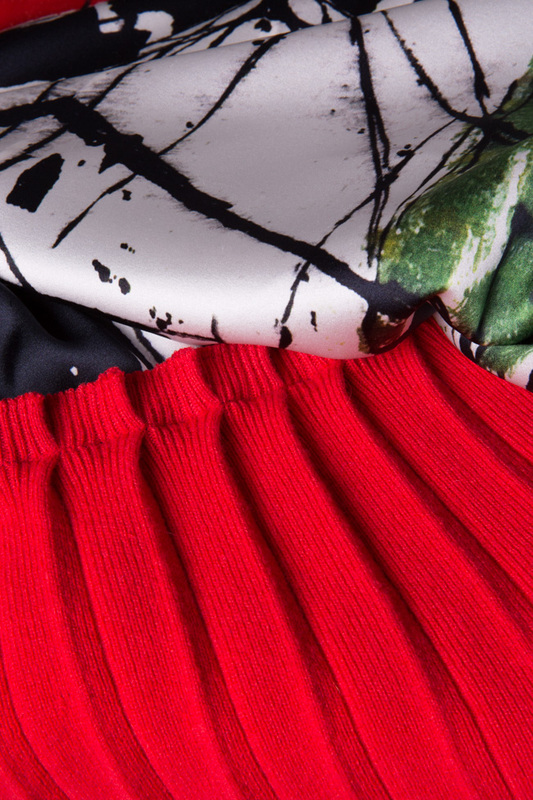 The key element that makes this pieces flattering is the loose fit cut ended with pleated soft red cashmere that accentuates the print. Cozy and soft you can wear this style to a party with long boot or with suede sandals.